We’re helping kids bounce back from emotional trauma and academic failure through the power of play. 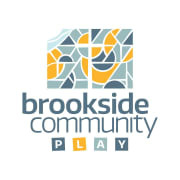 BROOKSIDE COMMUNITY DEVELOPMENT CORPORATION accepts donations. Donate Now. Would you recommend BROOKSIDE COMMUNITY DEVELOPMENT CORPORATION?